The City of Walton requires a $150.00 deposit to start water and sewer services. We accept cash, check or money order for that deposit. Bills are mailed on the last business day of the month and are due upon receipt of bill. A 10% penalty is due after the 15th of the month. Service is subject to be disconnected after the 25th of the month if bill is not paid in full and a $30 reconnect fee will be applied. For your convenience we have a drive up drop box in the parking lot and a drop box at the front entrance for payments. If any cash payments are made please make sure they are in a secured envelope with name, address and account number. Any returned checks will be charged a $20 service fee. The forgoing monthly water rate, exclusive of the minimum rate for the first 2,000 gallons or less of water per month, shall be based on actual usage. The City allows installation of sewer deduct meters for measuring water used for outside watering. Sewer Surcharge: The monthly fee shall be $10.30 per sewer connection. Below are our residential and commercial rates for new water and sewer installations inside the City limits. 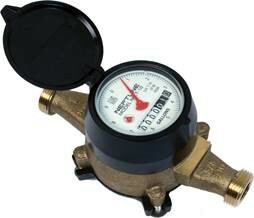 Water Meter Installation Charges are based on ¾ service. 1-inch service or larger must be installed by your licensed plumber and inspected by our water department. Please call Walton City Hall 24 hours ahead of time for any sewer tap inspections and 2 weeks prior to any water tap inspections and meter installations. Hydrant flushing takes place every year starting in April through the end of September.